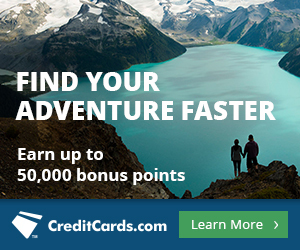 In the midst of research for Monday’s post, Buying Back Expired Miles, I stumbled upon some information from milecards.com that mentioned another way to earn back expired American Airlines miles via a Re-engagement Challenge. For frequent American Airlines/oneworld flyers, participating will be cheaper than paying to get larger amounts of expired miles back. The general gist is that if you have miles that expired within the last five years, you can pay a flat $30 fee to register in a “Re-engagement Challenge”. Depending on how many miles you want to bring back from the dead, you’ll need to earn X amount of partner base miles and/or fly X amount of roundtrips. As it’s not published anywhere on aa.com, I called AAdvantage Customer Service to confirm that the reengagement challenge is still available. It is. Call AAdvantage customer service at 1-800-882-8880 and let the representative know that you would like to participate in the Re-engagement Challenge for the purpose of reinstating your expired miles. They will charge you $30. Your challenge will be defined by how many miles you’d like to reinstate. You’ll have six months to complete the challenge after you register. What are Partner Base Miles? For the purpose of this challenge, partner base miles are any redeemable AAdvantge miles earned outside of any a bonus. 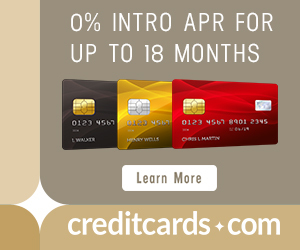 Primary examples are the redeemable miles earned by spending on an AAdvantage co-branded credit card (but not the miles you earn from sign up bonuses/other bonuses), or redeemable AAdvantage miles earned by flying American Airlines, British Airways, Finnair, Iberia, Japan Airlines or Qantas Airways (or codeshares marketed by these carriers but operated by others). Don’t let the term “Partner” bonus miles confuse you–you can still earn these miles for spending on an AAdvantage credit card, or by flying American Airlines. From the terms: Any AAdvantage partner or collection of partners may be used to earn the total required number of miles in your AAdvantage account. Visit www.aa.com/earn to see a list of AAdvantage partners. Any miles received from transactions through the buyAAmiles®, giftAAmiles®, shareAAmiles® and reactivateAAmilesSM programs, any miles received from mileage conversions, as well as bonus miles received through customer service bonuses or partner bonus offers, do not count toward this requirement. But if they do expire (and for AAdvantage, that means no account activity for 18 months), know that you’re not totally up a creek without a paddle…many loyalty programs allow you to buy back your miles for cheap or participate in reengagement challenges like this one from AAdvantage. To enroll in AAdvantage’s reengagement challenge, call 1-800-882-8880 and ask for more details as this offer is not published on their website.